Before you invest in Greenville or Centreville, you might want to conduct a bit of additional research. There is much more to purchasing real estate than simply selecting a house that you like. You’re going to be living in the Greenville & Centreville community as well, so you want to ensure that it is one that is going to fit your needs and your lifestyle. The area’s first earliest settlement was back in 1638. Therefore, people can expect many of these homes to be steeped in a long history. The area was originally known as the Colony of New Sweden. As such, much of the architecture of Greenville & Centreville is inspired by the Dutch building style. Much of the area's history involves the Dupont family. Immigrated from France around 1800, this family began long, storied history of business, arts, and philanthrophy that still makes it mark today on local society. Greenville & Centreville properties are located near plenty of parks. In fact, the area is known for its outdoor recreational activities. Some of the most popular outdoor activities in the area are bird watching, horseback riding, canoeing, fishing and hiking. Among the parks in the area are Valley Garden Pak, Brandywine Creek State Park, Alapocas Run, and countless others. People who are considering real estate in Greenville & Centreville will find the area offers beautiful scenery and an abundance of outdoor activities. Close to many popular and entertaining museums and gardens including: Longwood Gardens, Winterthur Museum and Gardens, Mt. Cuba Center, Delaware Art Museum, Delaware Museum of Natural History, Brandywine River Museum, Hagley Museum and Library, and much more. Other nearby attractions include the Chadds Ford Winery and Twin Lakes Brewing Company. Mark your calendar for many of the favorite local annual events like the Delaware Antiques Show, Point-to-Point, The Flower Market, The Greek Festival, The Italian Festival, Hagley Museum Fireworks and more! 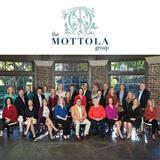 The Mottola Group can help you find the home of your dreams in this idyllic and cultured area. Call (302) 351-2600 for assistance with your home search today.